The picture is an old one. 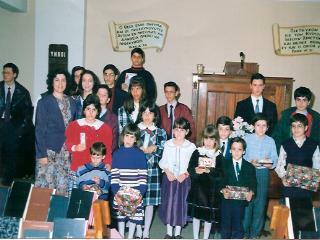 It shows Sunday School teachers and pupils after a Christmas program. Most of the boys and girls here, some fathers and mothers now, have professed faith in Christ as their personal Savior. But some, two or three possibly, sadly, have gone into the world. 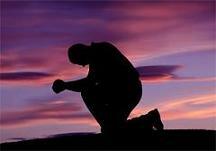 For the former we pray the Lord will be blessing and using them for His glory; for the latter, deeply concerned, we plead He will visit them with mercy and give them repentance, so that they might flee from the wrath to come.